Total Service Pro is a local company that has been painting in Niskayuna, NY for decades. Centrally located in the Capital District means it’s easy for us to provide our Total Painting Services to Niskayuna and the region. With our professionally trained staff, years of experience in all types of Exterior and Interior painting. We are happy to help with all of your Painting needs. Every project is treated like it was our home. From the detailed written estimate to when we take down our last ladder. We will strive for your utmost satisfaction in delivering what we promise! We do it right the first time, and we stand behind our work. In addition to providing superior service, all of our work comes with a limited 2 (two) year warranty. 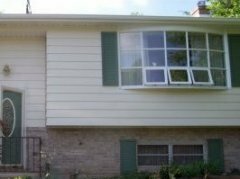 Again we offer prompt, free estimates at your home in Niskayuna and we will always work with your to schedule your project when it best fits into your summer season. We will always deliver more than you expect because we live right next door to you in Niskayuna! 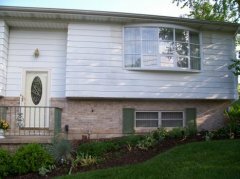 What steps are necessary to prepare the exterior of my Niskayuna home for painting or staining? Always clean surfaces by means of power washing with a biodegradable solution or house wash. This will remove any surface mildew, chalkiness, loose and sometimes some peeling paint, etc. We will also always recommend the proper preparation and scraping of loose & failing paint. Different surfaces or substrates will require different methods and a combination of approaches may be necessary to achieve the best result. Our process is fairly uniform throughout Niskayuna and the Capital District, NY and has been tried and tested for almost 40 years. From the proper preparation to all your light Carpentry repair needs. We are glad to discuss any repairs that need to be made on your Niskayuna project or home. Whether it’s to replace rotten wood clapboard siding or filling in carpenter bee or woodpecker holes. We are glad to discuss your homes unique situation and offer experienced advice on what the most cost effective and or best repair options are for your home.